Afternoon Tea at the Authors’ Lounge at Mandarin Oriental is one of the things you have to try, if you are visiting Bangkok. Leave your backpack and flipflops at home (there’s a rather strict dress code) and head down to Chao Phraya River for a glimpse and a taste of what Bangkok was like in a time long gone. As a matter of fact, the lounge used to be an open-roofed garden, with a tortoise pond and a famous sign telling people not to feed the tortoise. As far as I’m concerned, there is no tortoise around anymore. Instead, Authors’ Lounge at Mandarin Oriental is the place to go for one of the most opulent afternoon tea experiences ever. You can choose between Western Afternoon tea or Oriental Afternoon Tea, and both sets come with your choice of coffee or tea. From the Western menu, the green asparagus in tomato aspic were irresistible, but otherwise, the Oriental menu stole the show. The little treats provided an eclectic mix of sweet, savory and a little bit of spicy, and there was so much food. One afternoon tea set would have been more than enough for two persons to share, but I think you have to order one set per person. The afternoon tea sets are 1500THB which is steep for Bangkok but cheap considering the classy surroundings. 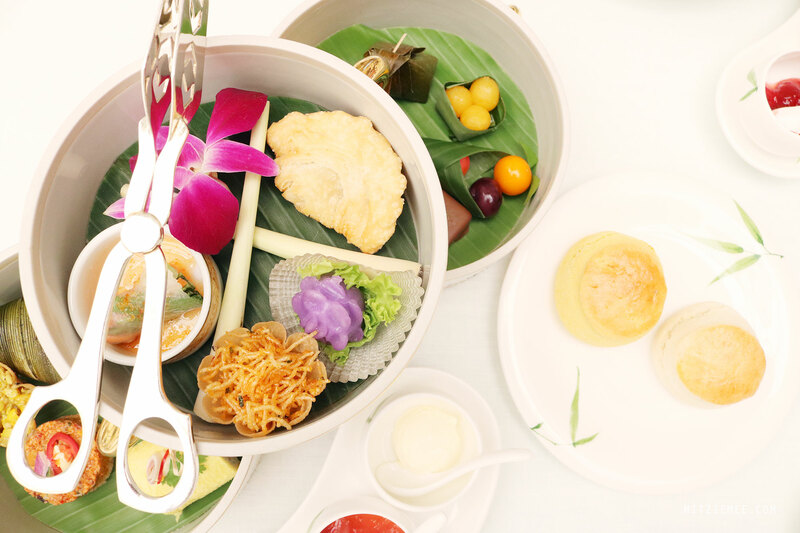 Mandarin Oriental in Bangkok is the oldest Mandarin Oriental hotel, and the inherent elegance of the place combined with the delicious food are well worth the price. The afternoon tea at the Authors’ Lounge is very popular, especially among Asian tourists, so a table reservation is crucial. Afternoon tea is served daily in the Authors’ Lounge 12pm-5:30pm.